Chelsea manager Antonio Conte denied rumours of his exit and has stated his desire to stay at Stamford Bridge until 2019. The ever-growing speculation of the Italian manager’s exit increased a sky fold after the London side suffered an embarrassing defeat to AFC Bournemouth at home. Conte was looked up to as the one to carry the club back to glory after winning the Premier League last season, But Chelsea’s results this season, have a lot to be left desired with highly inconsistent performances and trouble in the attacking line. The rumours of Conte being unhappy at the club are at the rounds, with the Italian being denied with the players he desires. Despite Conte’s repeated claims, the Blues were not involved in the transfer market until the deadline day where they managed to capture Emerson Palmieri and Olivier Giroud at the expense of Michy Batshuayi. “I still have 18 months on my contract with Chelsea. My desire is to respect this contract, I don’t see any problems with this. I don’t know why there’s speculation about my future. I signed for three years and my desire is to respect the contract. “I like this type of situation. If I see there is no pressure, it is not for me or for the players — you lose your fire,” he explained. Several managers such as former Barcelona man Luis Enrique, current Juventus manager Massimiliano Allegri, Carlo Ancelotti and Diego Simeone are tipped to replace the Italian in the summer. 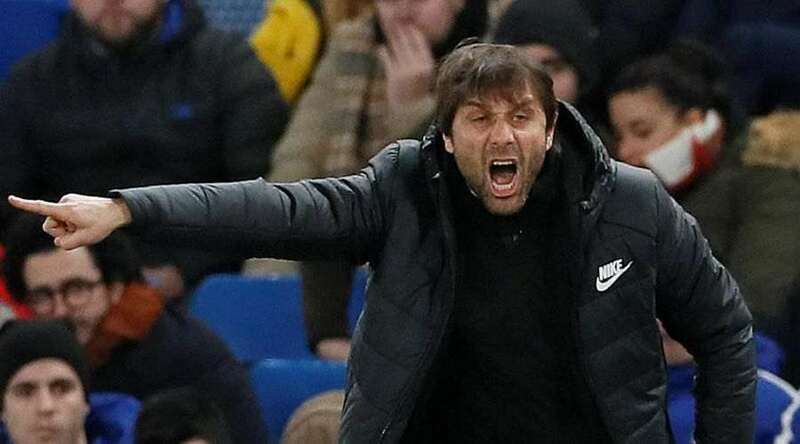 Whereas Conte is slated to coach the Italian national team for the second time and is being headhunted by Paris Saint-Germain to replace Unai Emery. It is highly unfair to Conte if he gets sacked after a lacklustre season. But things could still turn around for the Blues with them still being in contention for the FA Cup and Champions League. The trend of sacking managers on a repeated occasion on a basis of one poor season, although regular for Chelsea, is not good for the club and the players on a long-term basis. The post Antonio Conte breaks silence on Chelsea exit rumours appeared first on The12thMan.